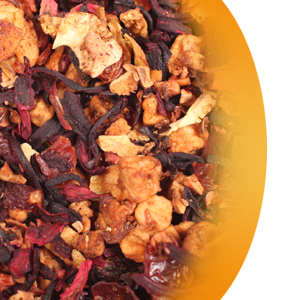 A wonderful fruity, full bodied, caffeine free, herbal tea. Enjoy the natural sweetness that comes from strawberries and kiwis, creating refreshing flavor profile. Perfect when served hot or as an iced tea.